At Tinerhir, turn off north following signs for Todra Gorge and site is approximately 9 kms on left just after crossing river. Very modern site modelled on European sites with individual pitches all with own water point. Very nice restaurant on site with washing facilities (done by local woman) There are some 6 other sites all within a kilometre of this one most with pools. Attractions Nearby: Todra Gorge can be reached by walking or cycling (5kms) or by taxi from the site entrance. 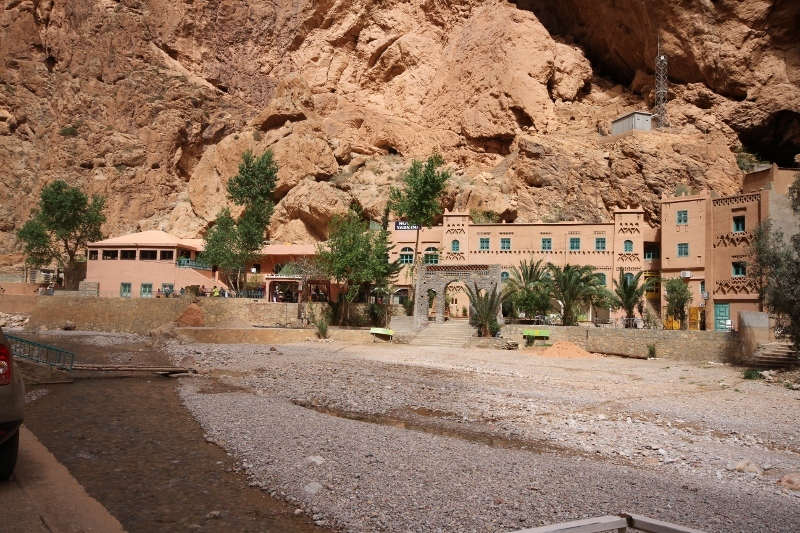 Well worth the visit and for those that walk or cycle there are several coffee stops along the way with the option of having either lunch or a drink at the Hotel Yasmina located in the middle of the gorge on the opposite side of the river.